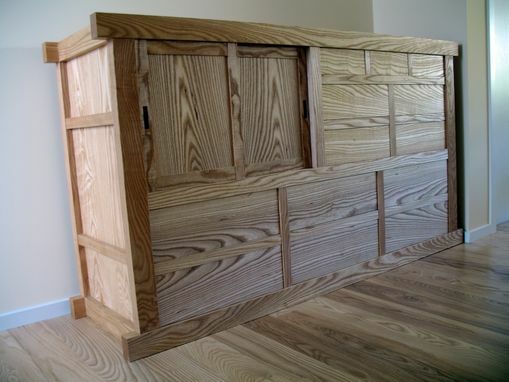 This post and panel style Tansu serves as a dresser for clothing and has a small cabinet for stereo components in the upper left. Mortise and tenon construction of frame. Drawers fronts and sides are solid wood, with traditional wooden glides. About 3 by 7 feet.